Add the same quantities of cheese, ricotta and vegetables. 3 Do You Need to Cook Fresh Made Lasagna Sheets Before Using? Non-boiled lasagna noodles cut the prep time for homemade lasagna by at least 15 to 20 minutes, but if you don't have any of the no-boil style on hand, you can use regular boiled lasagna noodles. Altering the recipe slightly accommodates the differences between the noodles, but you can use the same quantity. 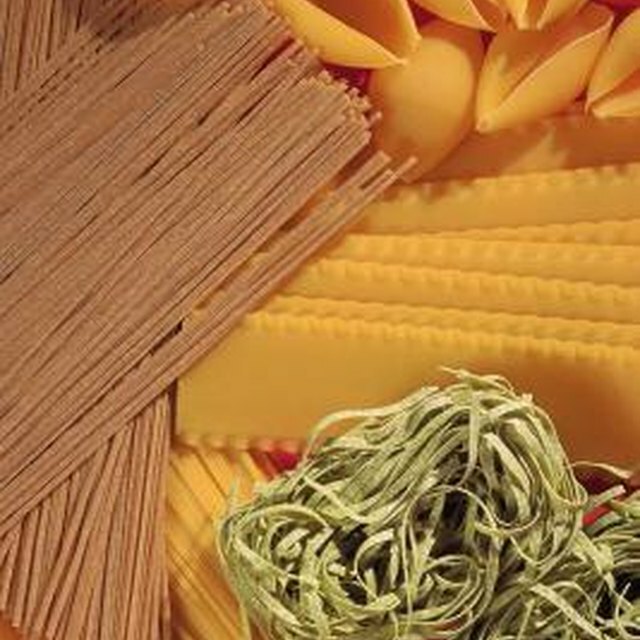 An understanding of the differences between regular boiled lasagna noodles and no-boil or oven-ready noodles is essential if you're going to substitute one for the other. Regular boiled noodles have been dried prior to packaging. They must be boiled until tender before assembling them in a lasagna. No-boil lasagna noodles often are thinner than regular lasagna noodles and were partially cooked in a water bath before they were dried and packaged. They don't require boiling, but they need additional liquid to reconstitute them during baking. Because oven-ready noodles aren't boiled before they're assembled in a lasagna, they need larger amounts of sauce to become tender. The sauce also is typically thinner than the sauce used in a traditional lasagna. Some recipes even call for added water. When you substitute regular boiled lasagna noodles for no-boil lasagna noodles, reduce the amount of sauce. A thicker sauce is also more appropriate for the heartier noodles. No-boil lasagna noodles are a handy convenience item because they don't require the additional step of boiling. If you're substituting regular lasagna noodles, they must be boiled and drained first. Lasagnas that contain no-boil noodles should be kept tightly covered with a lid or foil during baking so the steam can help cook the noodles. If you've already cooked the lasagna noodles, tent the foil loosely over the lasagna instead and remove it during the last five minutes of cooking to brown the top. If you adjust the amount of sauce, as well as the cooking method, you'll likely be satisfied with substituting boiled lasagna noodles for no-boil noodles. Even with these adjustments, though, there is a difference in texture and taste between the two types of noodles. No-boil noodles are thinner and more delicate, while boiled noodles are thicker and seem to have more starch. In a pinch, the two are interchangeable, but you might find you prefer one over the other. 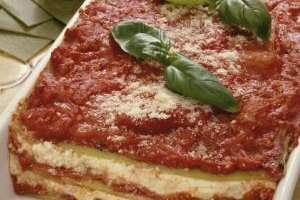 NoshOn.It: Can I Substitute No-Boil Lasagna Noodles for Traditional Lasagna Noodles?